Wake Forest, North Carolina is a fast-growing suburb of Raleigh, the state capital. The population in 2009 was estimated to be 27,915, up from 12,588 at the 2000 census. Wake Forest has a family-friendly atmosphere, a reputation as a safe place to live, and offers many opportunities for recreation and shopping, with a mixture of national and regional chains and local small businesses. Wake Forest is also home to Southeastern Baptist Theological Seminary, which I blogged about visiting a few months ago. What Wake Forest does not have, however, is an Orthodox Church. (By comparison, St. Mark’s is 10.2 miles from Downtown Wake Forest [17 minutes’ drive]). 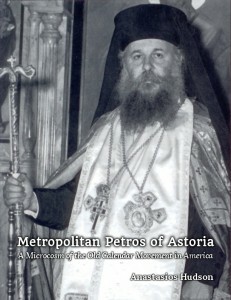 For many Orthodox, the prospect of a 30 minute drive is not too much in order to attend Church, but we also must recall that there are no other Orthodox Churches located up Capital Boulevard (Route 1) really until the Richmond area; thus, someone living in Henderson, North Carolina would have to travel 45 miles (54 minutes), whereas if there were a parish in Wake Forest, his commute would be shortened to 28 miles (33 minutes). The Antiochian and OCA parishes are of a decent size, but not in a position to plant a daughter mission, while the Greek parish could plant a mission in Wake Forest or some other area of North Raleigh which would alleviate some of the pressure. However, they recently decided to expand their parish, a move which will cost several millions of dollars. They have their reasons for doing this, pooling resources being an effective way to manage their fellowship and charitable programs being one, also a desire not to split up a well-coalesced parish family into two, etc., but my concern and interest here is with missions and church planting, so further analysis and commentary is unnecessary. In our Greenville, North Carolina mission, we are the closer of two missions to the city proper, and have more of an outreach and public visibility, and so we have grown by having people new to town come to the parish, even if they were not previously traditional Old Calendar Orthodox, or even Orthodox at all, but in Raleigh, with the existence of three established New Calendar parishes, mission strategy has to be different. Here, there is more of a need to highlight the distinctive nature of our traditionalist witness in order to convince new people to attend. However, there is still a great opportunity to appeal to people in a geographic sense, as Wake Forest is not well covered by existing parishes, and there are people who cannot travel even 15 miles on a regular basis. Also, if we seek to have Orthodoxy grow, being able to invite family members and friends and neighbors is essential, and many are reluctant to travel so far for a visit. Finally, the proximity to the Baptist seminary is a good reason to have an Orthodox presence, as more and more Protestants discover Orthodoxy, which is the same Church established by Jesus Christ Himself and which has preserved all of the Apostolic doctrines without alteration, unlike the Western Churches. For these reasons, Wake Forest needs an Orthodox Church. Saint Mark the Evangelist Orthodox Mission is currently meeting in my chapel in North Raleigh, but we are open to meeting wherever there is availability. Our Orthodox Church in Greenville, NC was founded when one family stepped forward and donated the land needed to have a Church building. Perhaps you are a pioneering Orthodox Christian living in Wake Forest who would like to donate land to establish a Church. Perhaps you are the pastor or a board member of a non-Orthodox Church which has been looking to relocate, and you would like to donate your current building to our mission efforts. Or perhaps you are just someone finding out about the Orthodox Church, and you want to talk about it with me. Whatever the case, send me an email or give me a call, and let’s see what the Lord has in store for His Church in Wake Forest, North Carolina!